Click HERE to view the informational brochure and map. Quarry Summer-Winter Recreation Area, Inc.
Maps were developed by the City of Sheboygan Engineering Department and printed compliments of the Sheboygan Area School District Community Recreation Department. Click HERE to read about the donation of a new snowmobile and groomer that joined the fleet in 2015. Photo: Terry Knier (volunteer groomer), Steve Scharrer (volunteer groomer), Sarah Schwefel, (Sheboygan Jaycees 2014 President), Jim Van Akkeren (volunteer groomer), and Joe Kerlin (Superintendent of Parks and Forestry). Click HERE to read an update about the ski trails written on August 7, 2014. 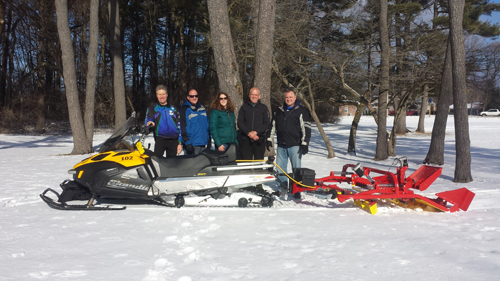 Click HERE to read about the trail groomer that was donated in 2010. 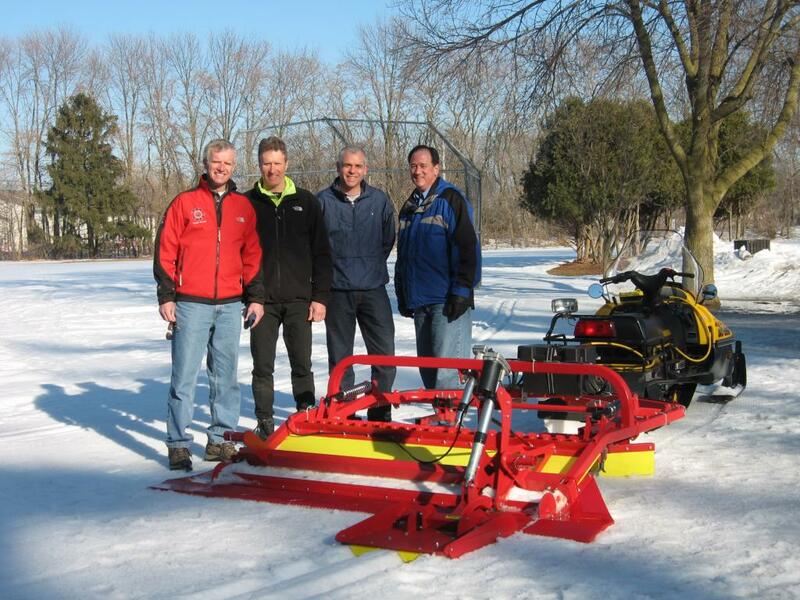 Photo: Tom Ries (FATKATS Mountain Biking Club), Terry Knier (Trail Groomer), Leo Dreikosen (Trail Groomer), and Steve Scharrer (Trail Groomer) with the new grooming equipment on March 6, 2010. Not pictured Jim VanAkkeren (Trail Groomer).